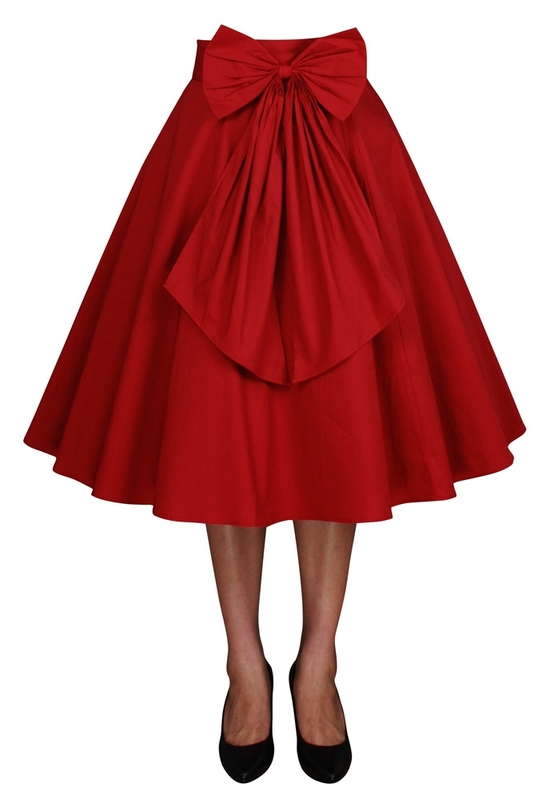 This is a 1950s circle skirt with a large removable sash which ties into a bow. There are two belt loops in the front and back. There is a wide waist band on the skirt. The petticoat is not included. Side zip. Plus size approx. length: 30inches.